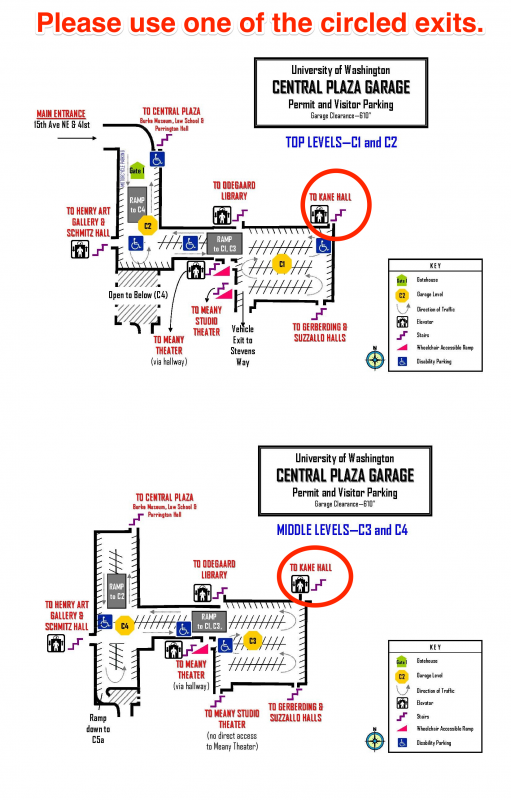 If you’re coming to the East Asia Library for an interview or a Community Forum events, we recommend that you park in the University of Washington Central Plaza Garage on floors C1, C3 or C5. 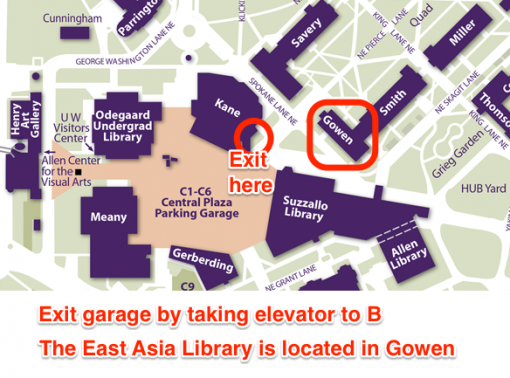 Parking is free on weekends, and there will be signs and volunteers to help direct you to the East Asia Library. 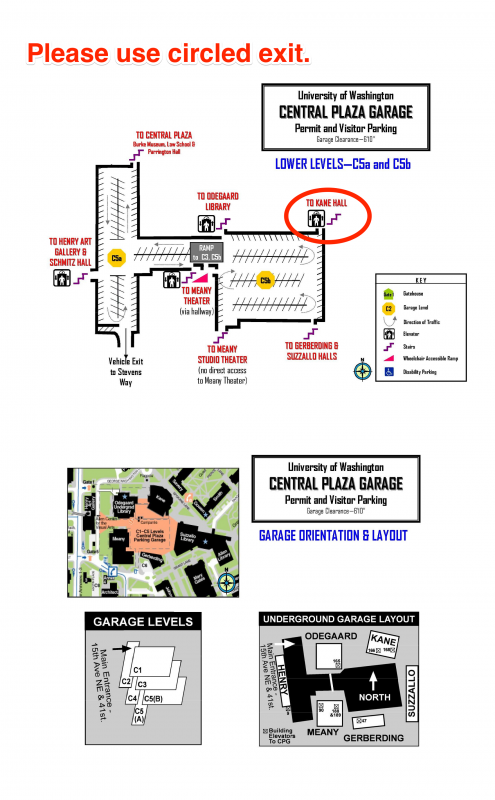 The maps below are provided for your convenience.